Las Vegas’ most notable headliners will come together under one roof in the fight against Neurofibromatosis (NF) for Las Vegas’ eighth annual NF Hope® Concert, a benefit set to take place 1 p.m. Sunday, Oct. 21, 2018 in the Palazzo Theatre at The Palazzo Las Vegas. Proceeds from the event will benefit Neurofibromatosis Network, an organization serving families and individuals suffering with the neurological disorder Neurofibromatosis (NF). The NF Hope® Concerts were founded by Jeff and Melody Leibow and inspired by their daughter, Emma, who was born with the neurological disorder Neurofibromatosis (NF). Jeff and Melody, conceived the idea for the concert upon the realization that they had an obligation to their daughter and the 128,000 people living with NF in the US alone to educate others about the disorder. Since its inception in 2011, the NF Concert has raised nearly $625,000 for Neurofibromatosis research and advocacy. 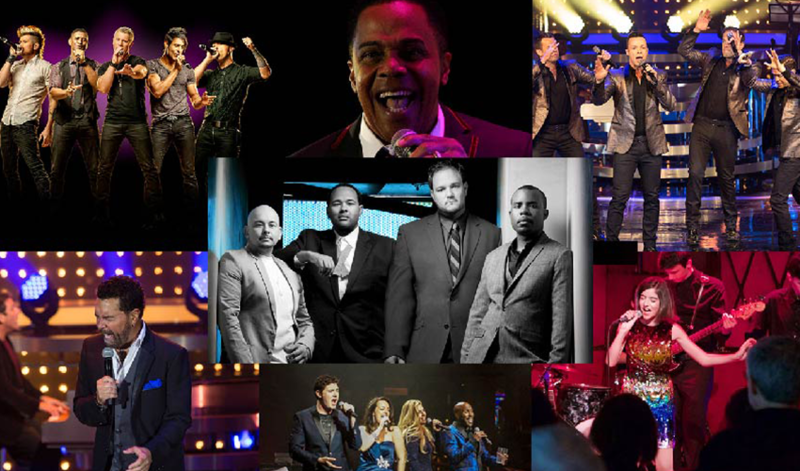 These concerts have become one of our greatest fundraisers for the NF Network. They are family friendly events filled with amazing talent donating their time for an amazing charity. Since its inception in Las Vegas, the NF Hope® Concerts have continued to grow and now spread from Las Vegas to New York and for the first time this year to the windy city of Chicago. This growth has been made possible by friends and patrons from across the country. Over the years, we have seen some incredible talent on the NF Hope Concert stage, and this year’s Las Vegas concert won’t disappoint featuring Grammy Winning group All-4-One, two-time Grammy Nominee Clint Holmes, Male Vocalist of the Year" Earl Turner, Multi-Platinum Recording Artists, Human Nature, Mo5aic, Stars of The Cocktail Cabaret, Broadway Sensation Ava Della Pietra, The Bronx Wanderers and more! This year’s concert will be hosted once again by radio personality, Chet Buchanan. So, come join us at the Palazzo Theatre in Las Vegas Sunday, Oct. 21 for an unforgettable afternoon of entertainment for an incredible cause.